Tumbleweed is a 21 1/2" x 16" pieced mini quilt shown using A Prairie Journal fabrics designed by Martha Walker for Henry Glass Fabrics & Co. Instructions include a quick cutting method for cutting the tumbler patches, and your mini quilt will go together quickly! 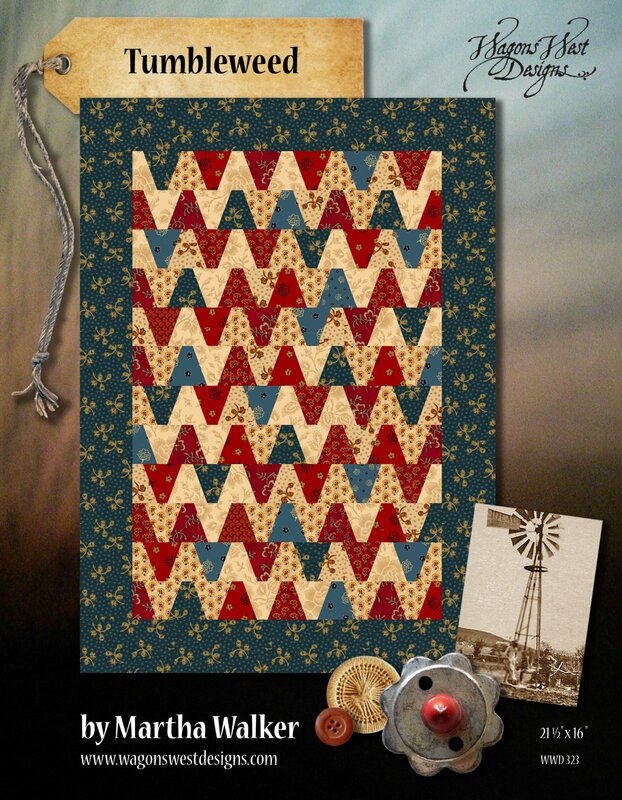 Tumbleweed is a three page pattern in color, plus the cover and fabric collection sheet. Tumbleweed is currently sold as an e pattern only.